This is what happens when the gospel impacts someone’s life. You live for the sake of others, despite their status or relationship to you. I often like to share various quotes from things I’m reading. I find it helpful for my own reflection to pull out highlights, and I hope you find it beneficial and stimulating in your own thoughts and understanding of seemingly random topics. 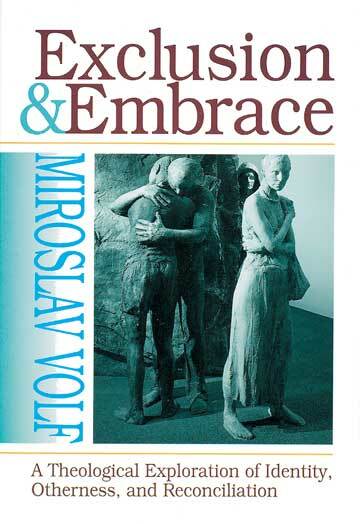 As many of you know, I have become a big fan of the work of Miroslav Volf, a Croatian, christian theologian out of Yale Divinity School. I find his perspective illuminating on so many fronts its hard to nail down why I like him so much. The next few quotes will come from his book, Exclusion and Embrace: A Theological Exploration of Identity, Otherness and Reconciliation. I may say this often, but I truly do believe that this is a book worth owning, reading, digesting, assimilating and making your own. This weeks thought has to do with what I perceive to be at the heart of the gospel – the reconciliation of God and man, and its implications for our own consideration of or “enemies”. Enjoy! – Miroslav Volf, Exclusion and Embrace, 126. These are implications rather then characteristics . What I mean is that when our worship of God has Him as the subject and object, when He is the center of our worship, it will honor God in His worthiness and glory over the world, develop our character as His people following after Jesus in the world, form our corporate life into an alternate community within the world, equip us for our mission to participate in God’s saving, restoring gospel work to the world, and extend His reign and rule throughout the world.